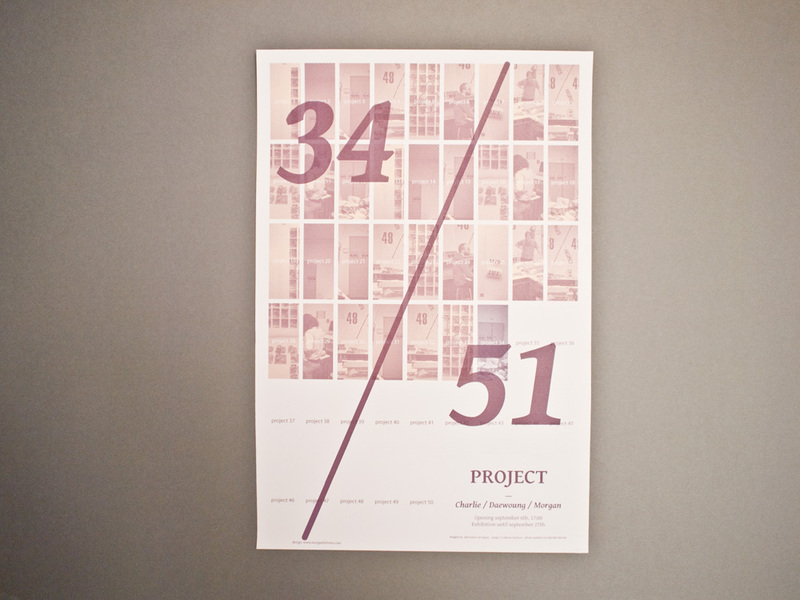 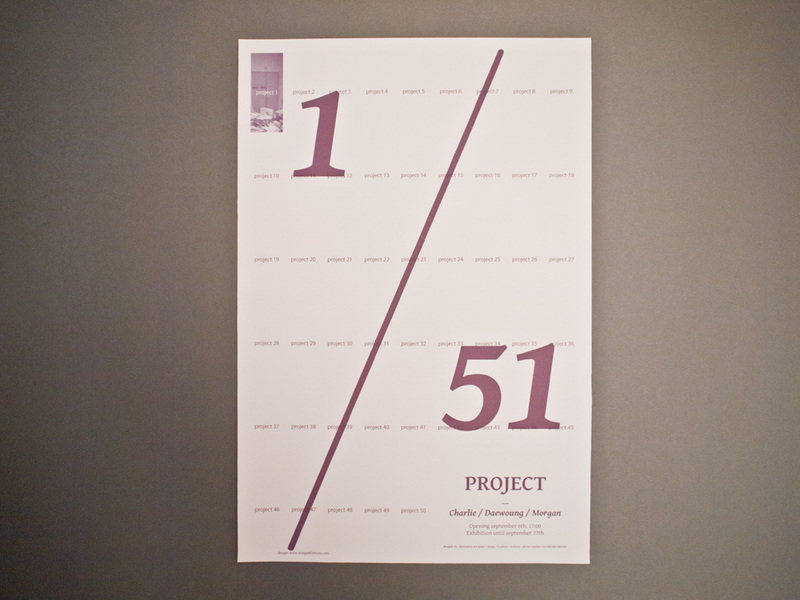 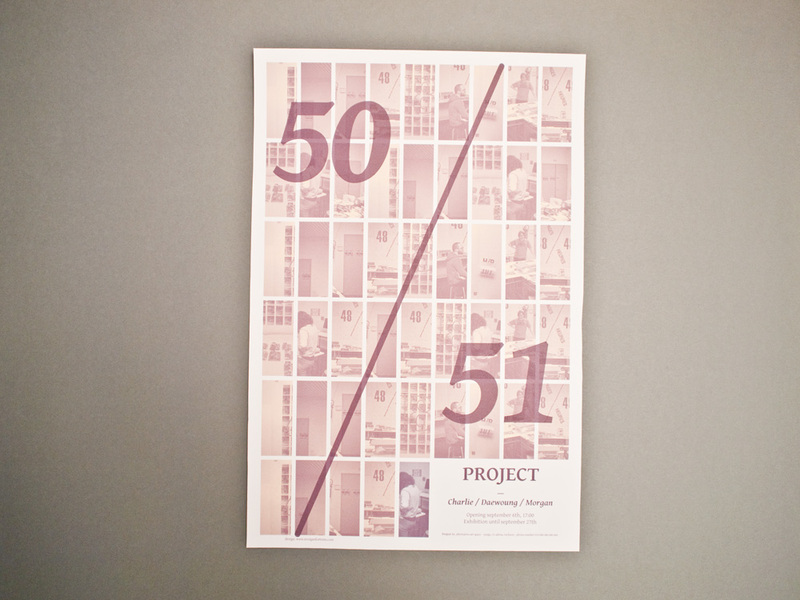 Identity for « Project 51 », an art gallery in Incheon, South Korea. 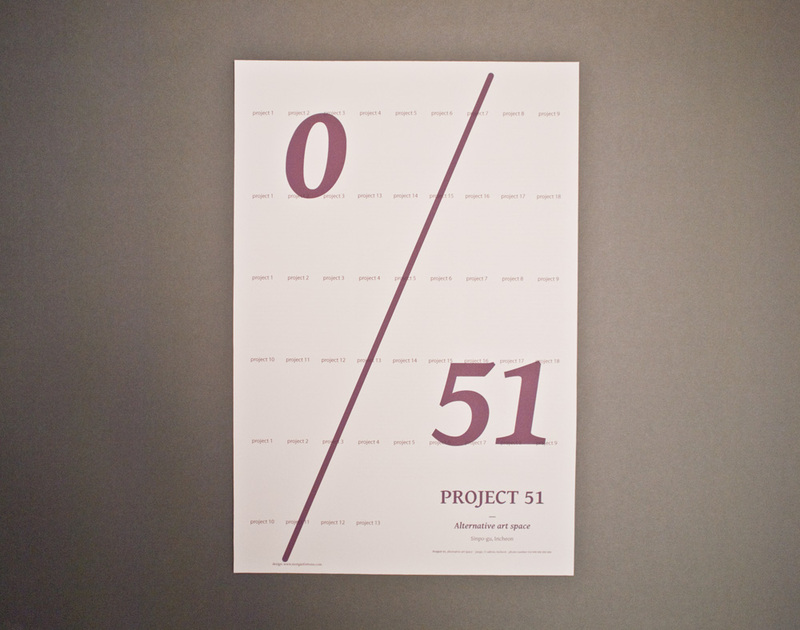 Project is based on a serie of 51 events (exhibition and live shows) and will turn over by the last 51st event. 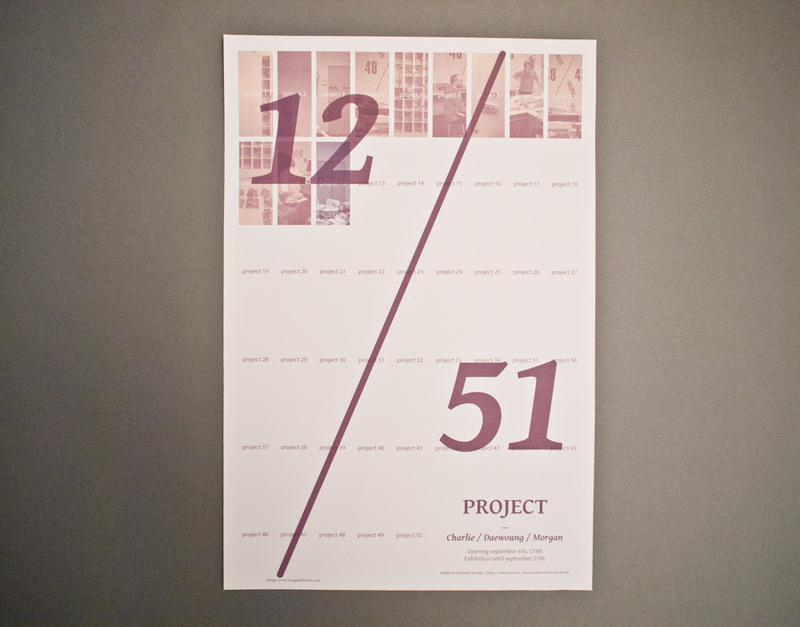 Identity is a simple poster printed on both sides that counts the process until the end, event after event and shows pictures of all the past events. 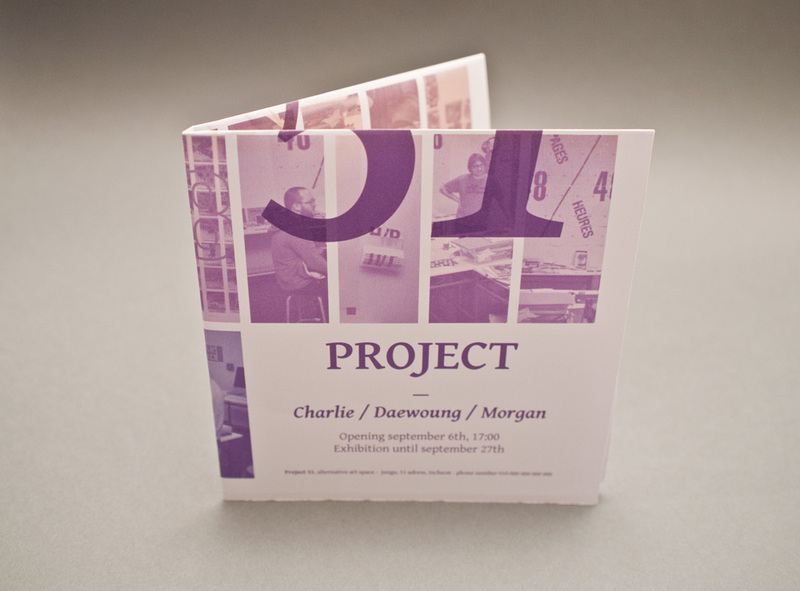 Once folded it becomes the program for the event, with information on the back. 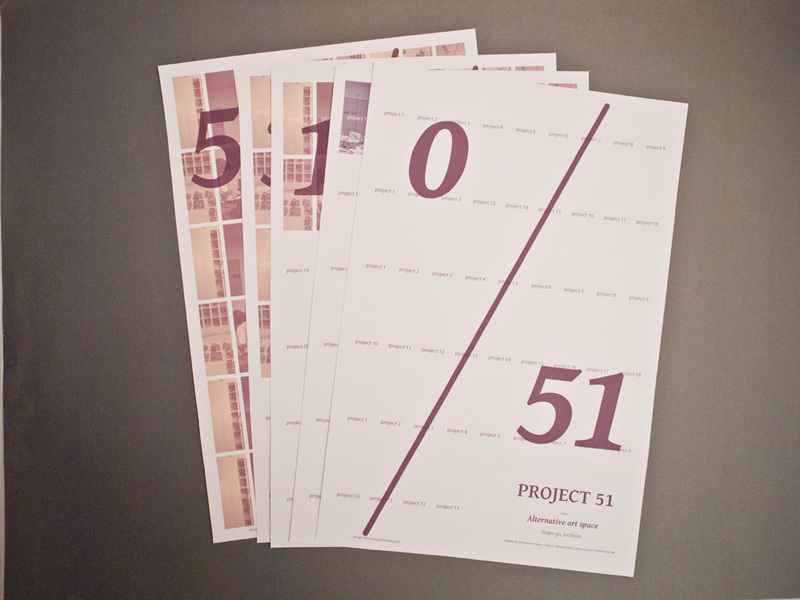 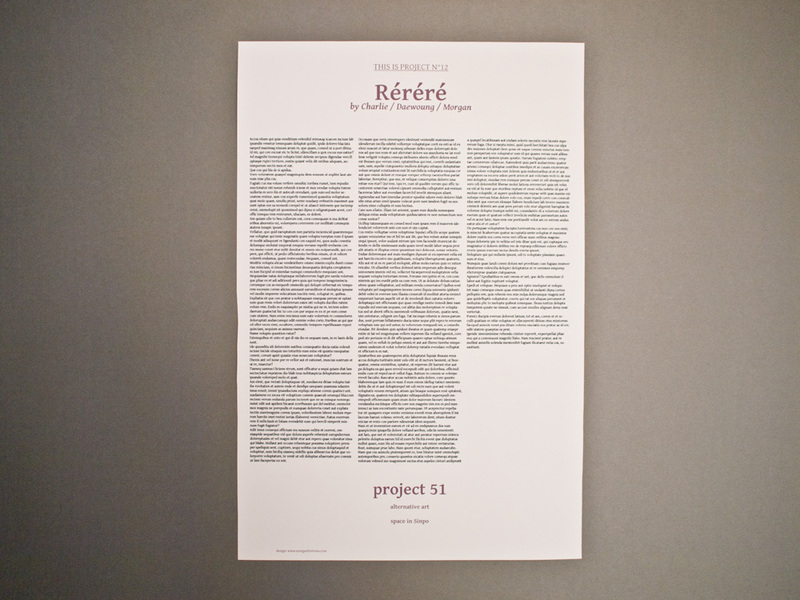 On the 51rst event, the name in the last case is covered by the last photo as the project is then over.